Article 1 - Qualifications of Attorney; Unauthorized Practice of Law. § 84-1. Oaths taken in open court. § 84-2.1. "Practice law" defined. § 84-2.2. Exemption and additional requirements for Web site providers. § 84-3. Repealed by Session Laws 1973, c. 108, s. 37. § 84-4. Persons other than members of State Bar prohibited from practicing law. § 84-4.1. Limited practice of out-of-state attorneys. § 84-4.2. Summary revocation of permission granted out-of-state attorneys to practice. § 84-5. Prohibition as to practice of law by corporation. § 84-5.1. Rendering of legal services by certain nonprofit corporations. § 84-6. Exacting fee for conducting foreclosures prohibited to all except licensed attorneys. § 84-7. District attorneys, upon application, to bring injunction or criminal proceedings. § 84-7.1. Legal clinics of law schools and certain law students and lawyers excepted. § 84-8. Punishment for violations. § 84-9. Unlawful for anyone except attorney to appear for creditor in insolvency and certain other proceedings. § 84-10: Repealed by Session Laws 2011-336, s. 6, effective December 1, 2011, and applicable to offenses committed on or after December 1, 2011. § 84-10.1. Private cause of action for the unauthorized practice of law. Article 2 - Relation to Client. § 84-11. Authority filed or produced if requested. § 84-12. Failure to file complaint, attorney liable for costs. § 84-13. Fraudulent practice, attorney liable in double damages. § 84-14: Recodified as § 7A-97 by Session Laws 1995, c. 431, s. 7. Article 4 - North Carolina State Bar. § 84-15.  Creation of North Carolina State Bar as an agency of the State. § 84-16. Membership and privileges. § 84-18. Terms, election and appointment of councilors. § 84-18.1. Membership and fees of district bars. § 84-19. Judicial districts definition. § 84-20. Compensation of councilors. § 84-21. Organization of Council; publication of rules, regulations and bylaws. § 84-22. Officers and committees of the North Carolina State Bar. § 84-23. Powers of Council. § 84-23.1. Prepaid legal services. § 84-24. Admission to practice. § 84-25. Fees of applicants. § 84-26. Expenses of Board of Law Examiners. § 84-27. Repealed by Session Laws 1945, c. 782. § 84-28. Discipline and disbarment. § 84-28.1. Disciplinary hearing commission. § 84-28.2. Persons immune from suit. § 84-29. Evidence and witnesses. § 84-30. Rights of accused person. § 84-31. Counsel; investigators; powers; compensation. § 84-32. Records and judgments and their effect; restoration of licenses. § 84-32.1. Confidentiality of records. § 84-33. Annual and special meetings. § 84-34. Membership fees and list of members. § 84-34.1. Deposits of the North Carolina State Bar. § 84-34.2. Specific statutory authority for certain fees. § 84-35. Saving as to North Carolina Bar Association. § 84-36. Inherent powers of courts unaffected. § 84-36.1. Clerks of court to certify orders. § 84-37. State Bar may investigate and enjoin unauthorized activities. § 84-38. Solicitation of retainer or contract for legal services prohibited; division of fees.